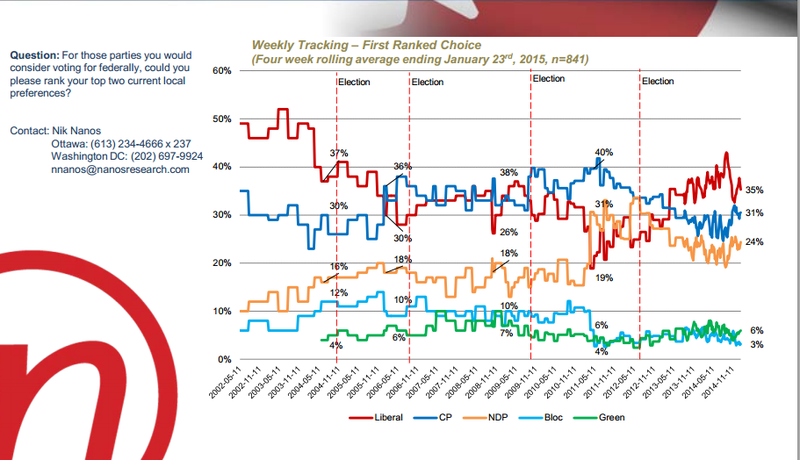 Pretty clearly the CPC "security bounce" has faded. Whether it returns is probably more dependant on what happens on the home from than overseas. I just can't see Harper and Co., try as they might, turning the country into a bunch of rootin' tootin' cowboys over the deployment of a few hundred of our guys in Iraq. I can see them milking another "terrorist" attack. Here's hoping for a peaceful year. Or, just maybe, their latest assault on rights and freedoms will piss off enough Canadians to lose them even more margin ... regardless of being cloaked in the rubric of "anti-terrorism"